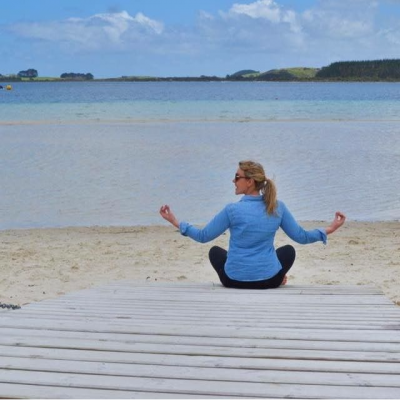 Entering 2018 I want to go into the new year with a healthier attitude towards food and exercise. 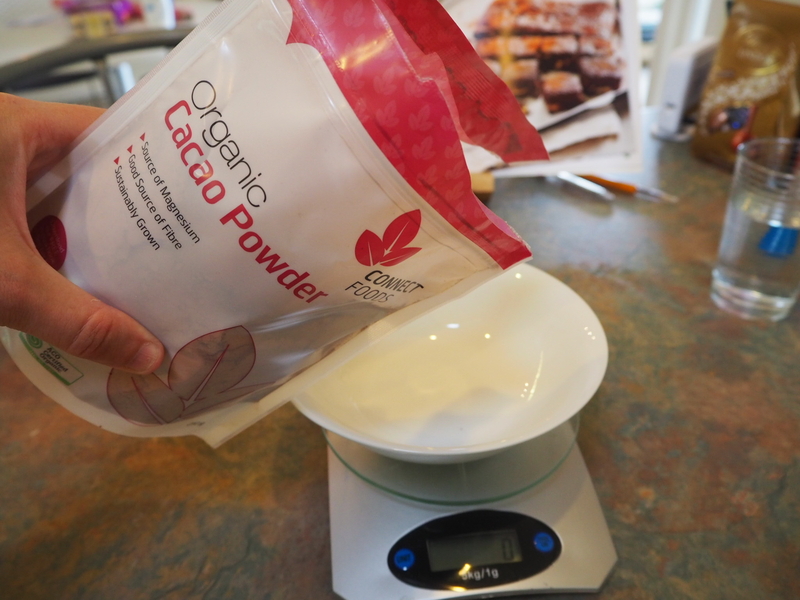 No more fad diets or celebrity eating plans – just a lifestyle change to eat healthy, nutritious food eighty per cent of the time and allow myself some indulgence twenty per cent of the time. 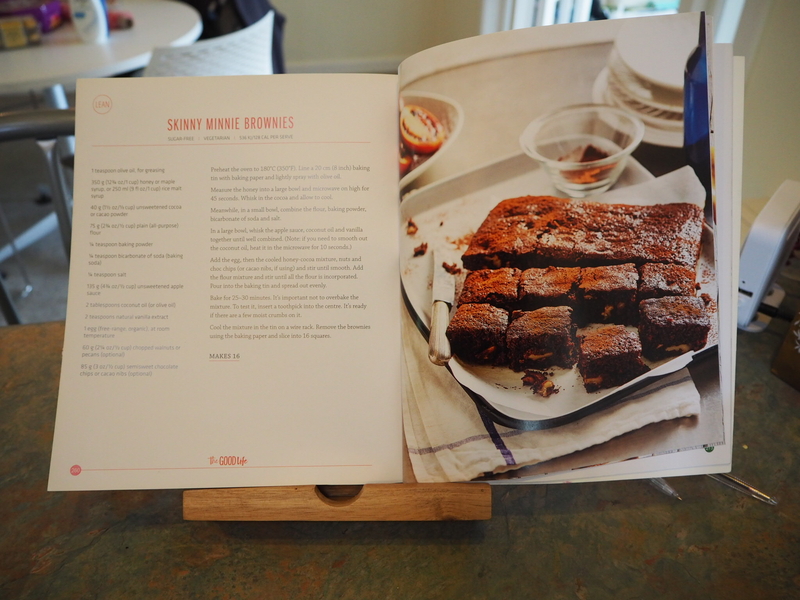 With this in mind when I saw the recipe for these skinny brownies in The Good Life cookbook by Sally Obermeder and Maha Koraiem, I knew I had to make them. 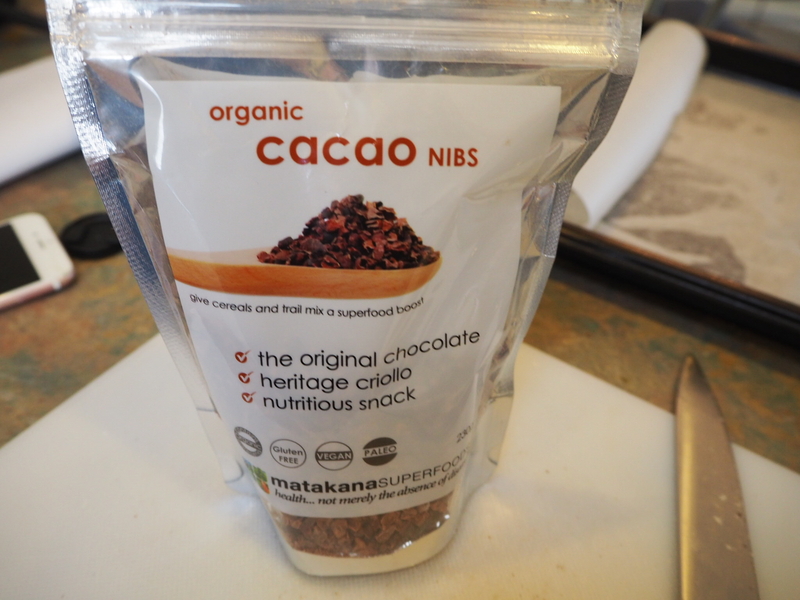 They are completely sugar free and are great for a morning or afternoon snack. 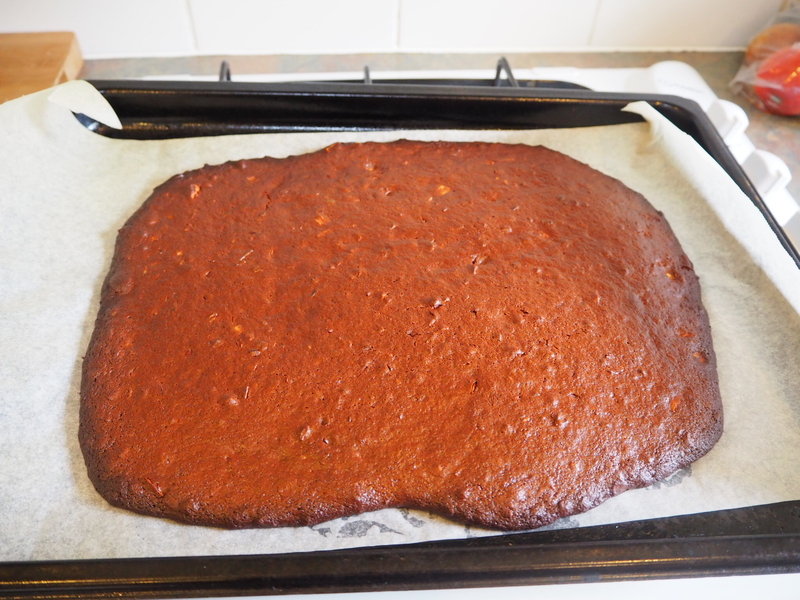 Begin by pre heating your oven to 180C/350F and line a baking tray with baking paper. 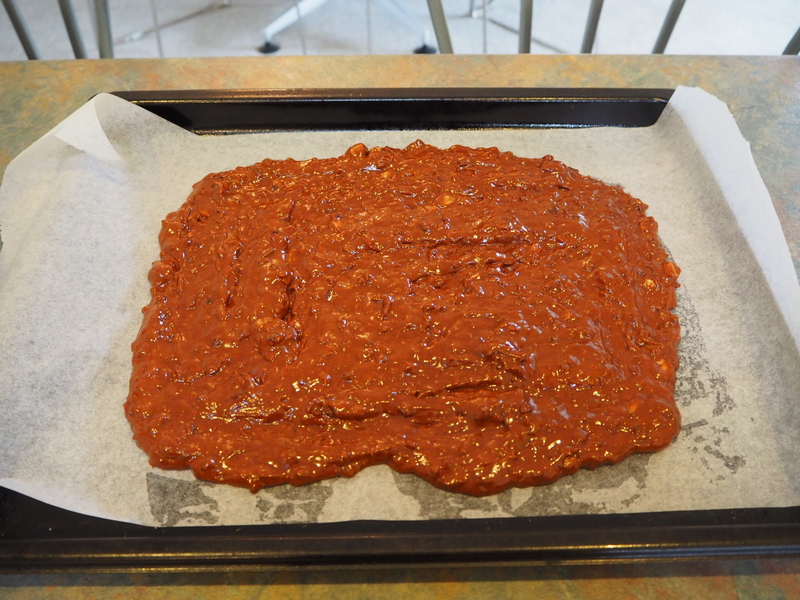 Lightly spray the baking paper with olive oil. 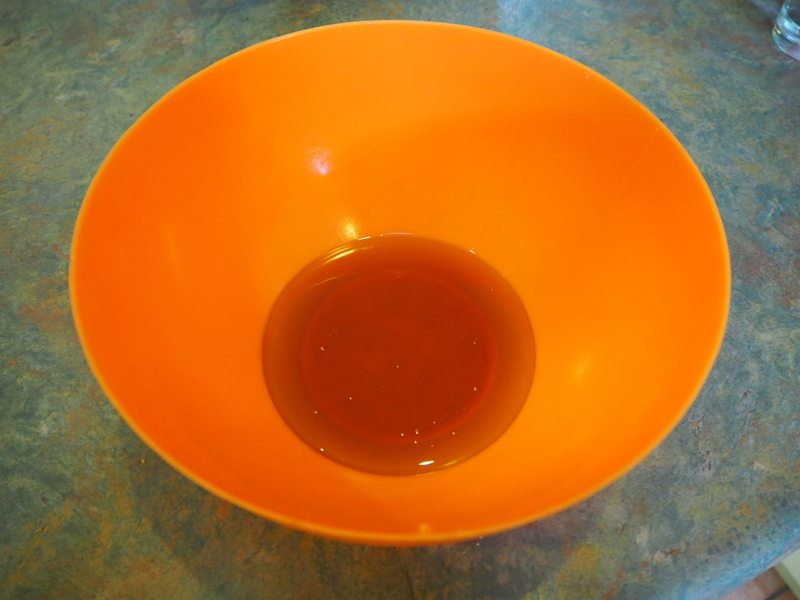 Measure the honey or maple syrup into a large bowl and microwave on high for 45 seconds. 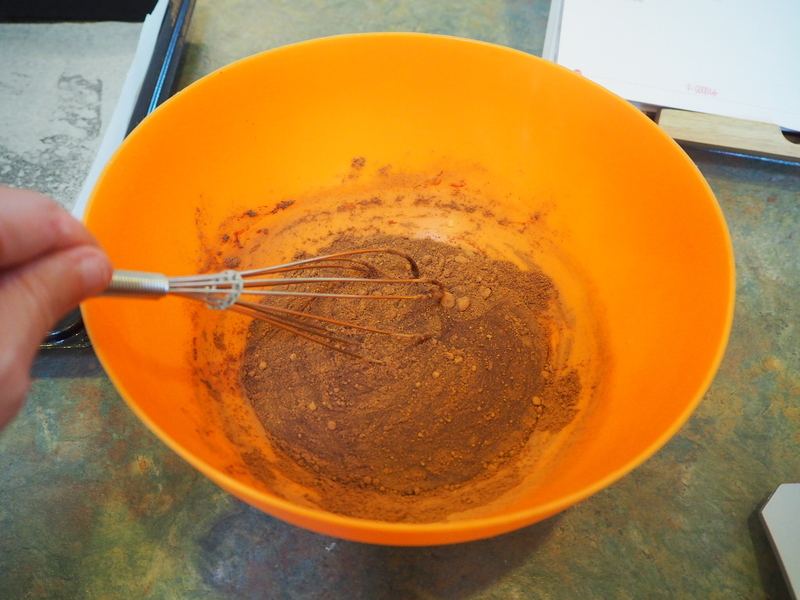 Whisk in the cacao or unsweetened cocoa powder and allow to cool. 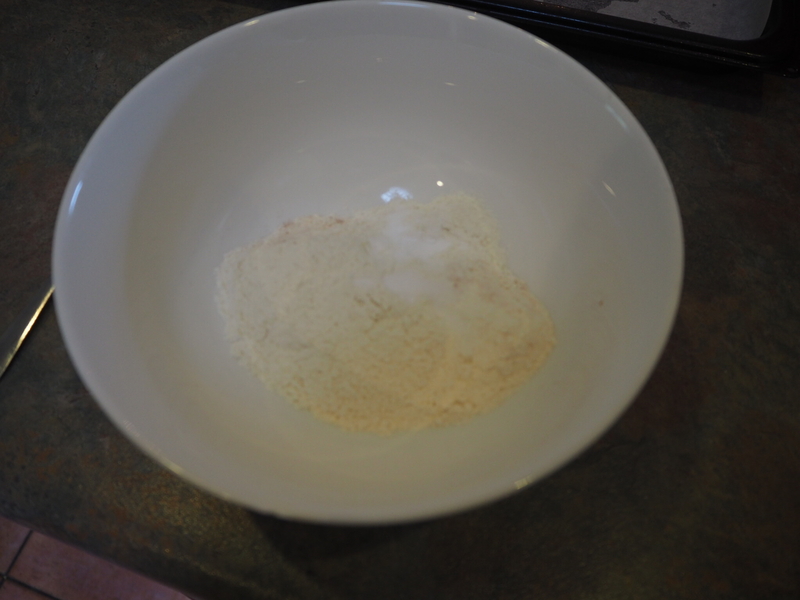 Meanwhile, in a small bowl combine the flour, baking powder, bicarbonate of soda and salt. 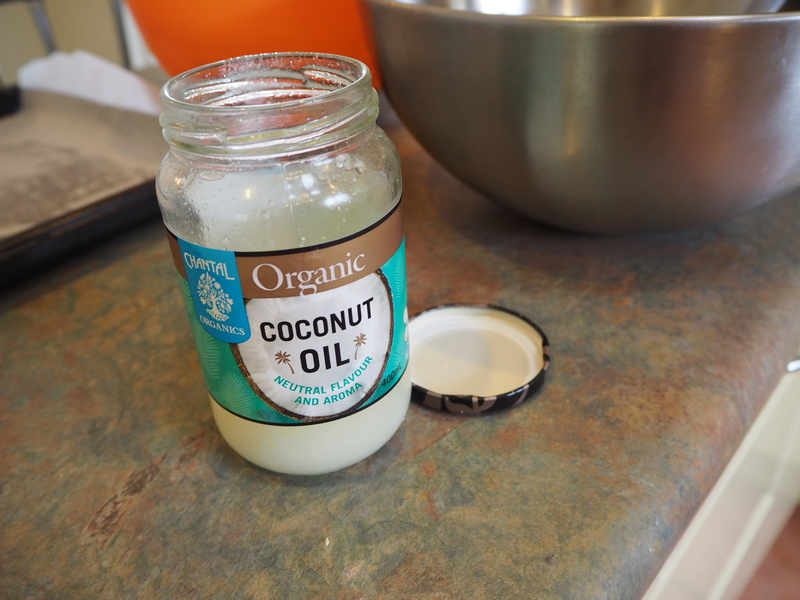 In a large bowl, whisk the apple sauce, coconut oil and vanilla extract together until well combined. 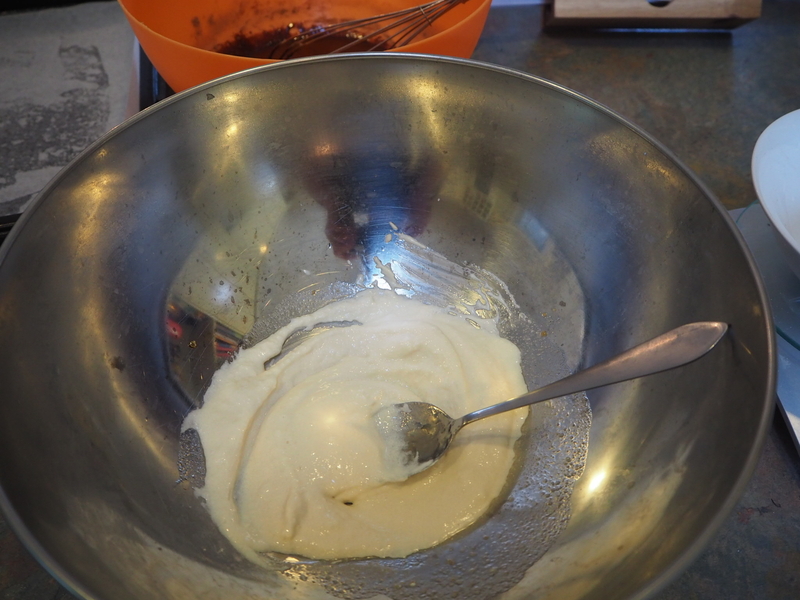 I used natural Greek yoghurt as I didn’t have apple sauce. 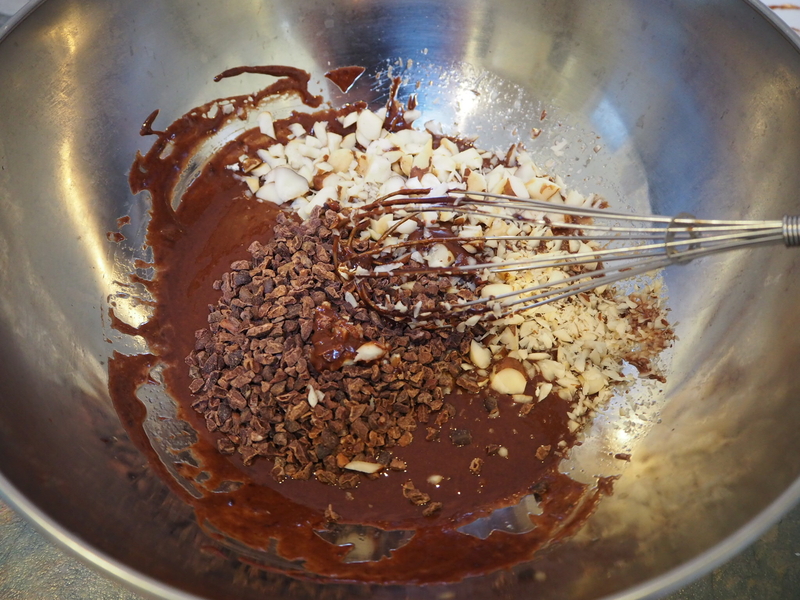 Add the egg, then the cooled honey-cocoa mixture, nuts and cacao nibs and stir until smooth. 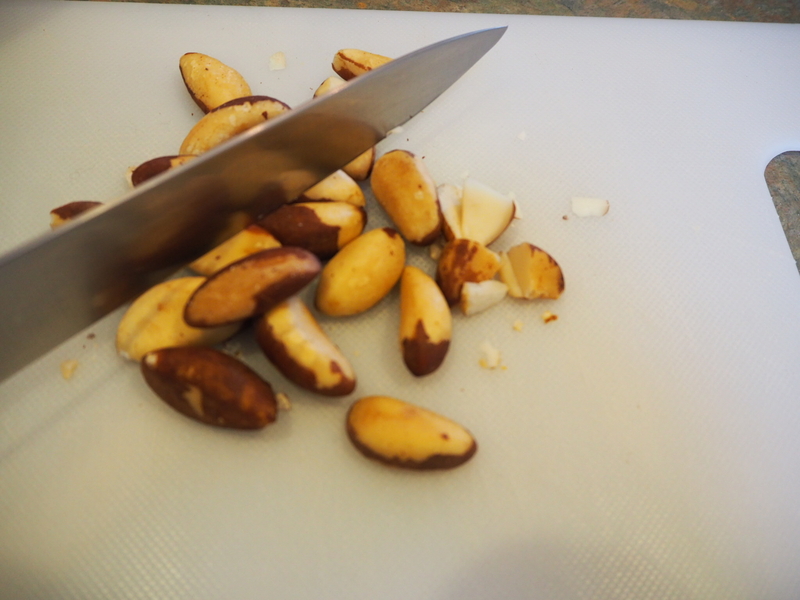 I used brazil nuts as I didn’t have walnuts or pecans. 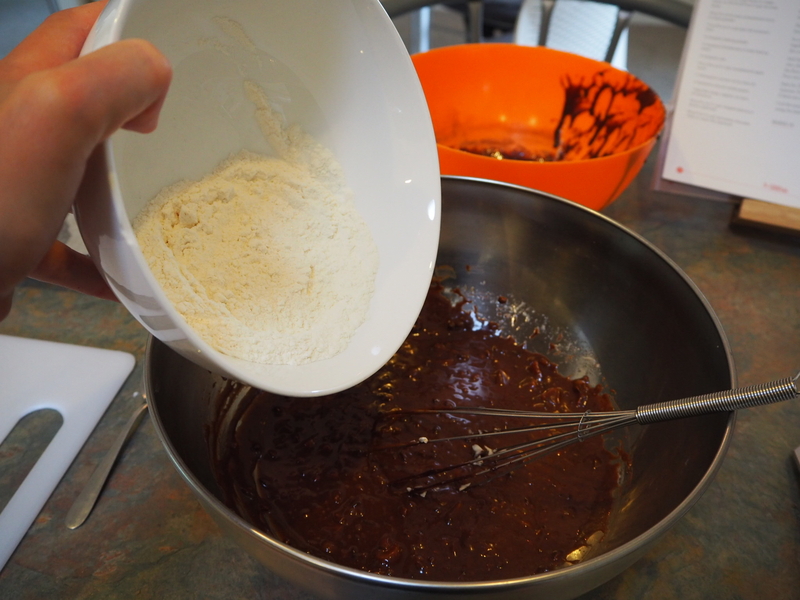 Add the flour mixture and stir until all the flour is incorporated. 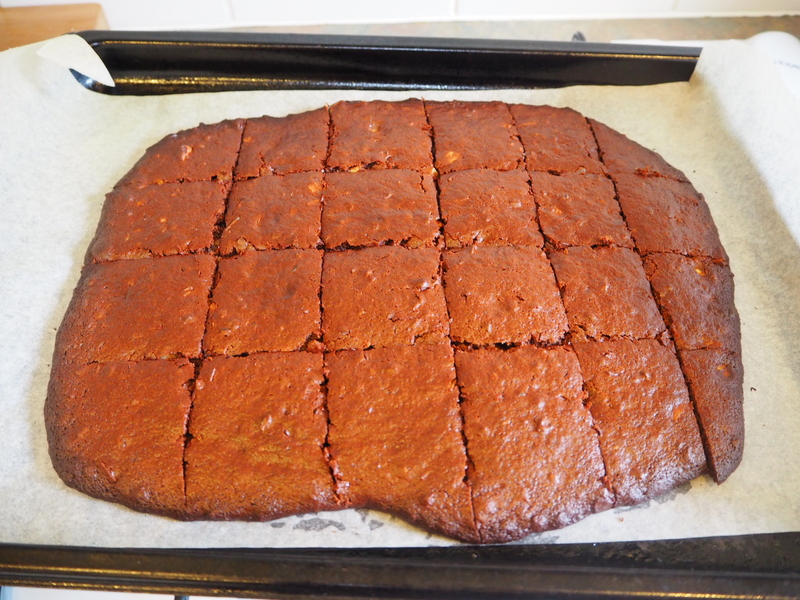 Pour onto the baking tray and spread out evenly. Bake for 25-30 minutes. To test it, insert a toothpick into the centre. It’s ready if there are a few moist crumbs on it. Cool on a wire rack. 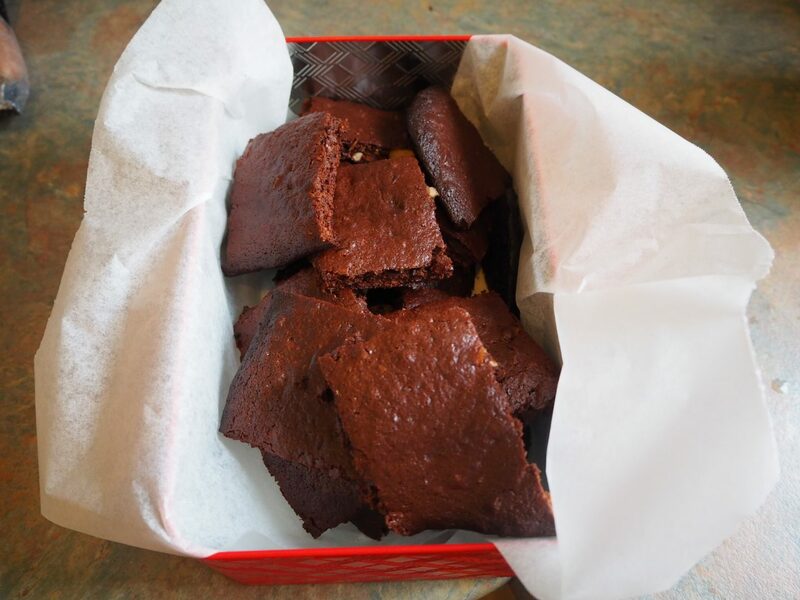 Once cooled, remove the brownies using the baking paper and slice into squares. Tag me in your pictures if you make these, I’d love to see!